In all honesty, I was a little skeptical of these cookies at first. One of my good friends told me about these cookies over the summer, which left me intrigued. Spicy and sweet, all at the same time? Will my taste buds revolt against me after eating these? It’s amazing how the flavor of these cookies can send your entire mouth into a twist… First, you get the rich sweetness of chocolate. Next, it’s that sweet spice of cinnamon. For the big bang, here comes the cayenne with a kick. My mouth almost felt a weird numbness after the first one, but still wanted more. The perfect opportunity to make these presented itself while I was preparing chicken tortilla soup and quesadillas for dinner. It truly was the perfect ending to a Mexican style meal. Preheat oven to 350 degrees. In a medium size mixing bowl, combine butter and sugar. Using an electric mixer, beat at medium speed until mixture is fluffy. Add eggs and vanilla, continue mixing at medium speed until combined. Add flour, cocoa, baking soda, salt, cayenne pepper and cinnamon, continue mixing until dough is well combined. Stir in chocolate chips. Using a cookie scoop, drop dough on cookie sheet. Bake for approximately 12 minutes, remove from oven. Let cookies sit on cookie sheet for another 2 minutes before using a spatula to move cookies to cooling racks to cool completely. Store in airtight container at room temperature. Doesn’t it?! I took some of these to my neighbors, and they took them to a tailgating party. They said they placed them on the food table, and didn’t mention anything to anyone about what kind of chocolate cookies they were, just watched people’s reactions as they ate them and talked about how fun it was. Too funny! 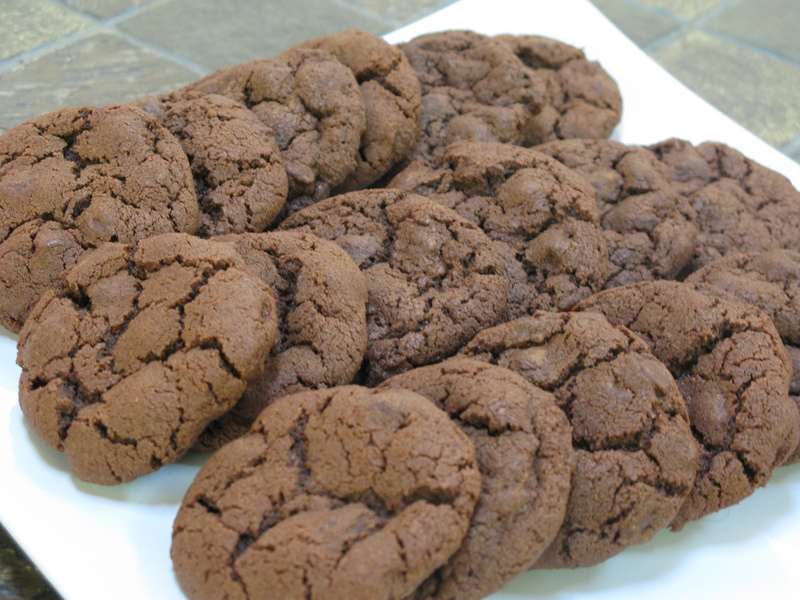 When i catered, i often made a similar cookie with black pepper and cayenne that people just loved. plus it was a foolproof easy, as I’m more of a cook than a baker! yours look very pretty! Thank you! I was very impressed with how these turned out!